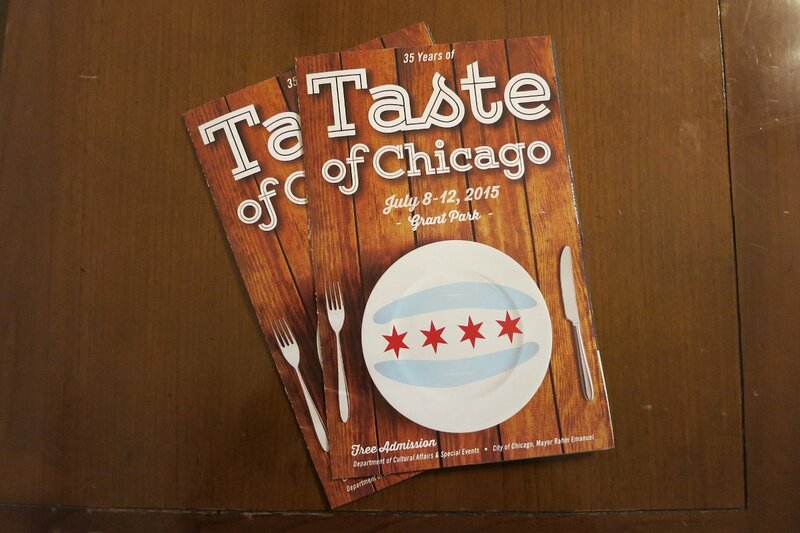 Every year for the past 35 years, Chicago has hosted “The Taste of Chicago”, one of the largest food & entertainment festivals in the Midwest. 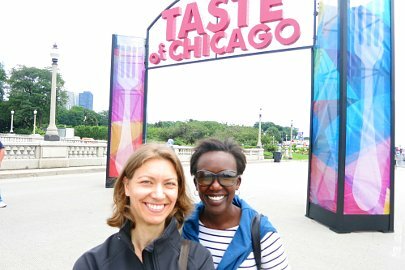 The Taste of Chicago features many of the famous Chicago authentic food and highlights the best of what the city has to offer. 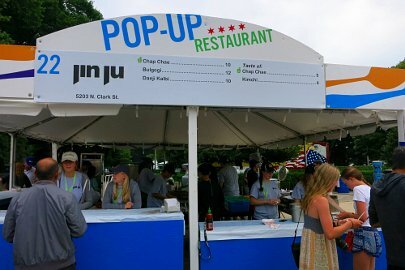 This year festival takes place July 8th – 12th in Grant Park and features over 100 menu items from 60 restaurants, pop-ups and food trucks, all representing the city’s diverse cuisine. 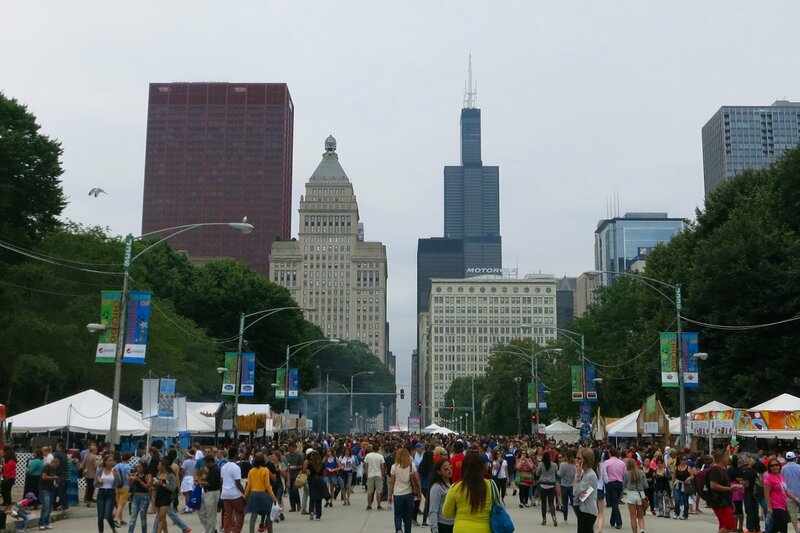 We were fortunate enough to find ourselves in Chicago at this time and we hit the Taste of Chicago on day two (Thursday, July 9th) to rediscover the Chicago classic foods. 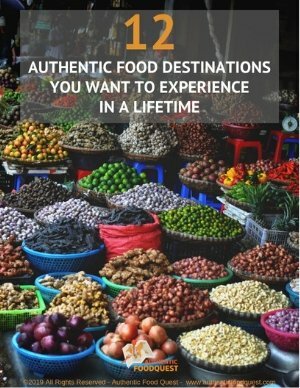 If you have never been to Chicago or are wondering what the local staples are, there are two of local staples you should not miss for an authentic experience – Chicago Deep Dish Pizza and Chicago Style Hot Dogs. 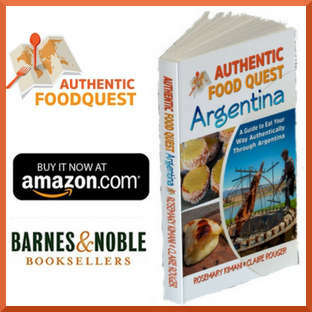 This is not a thin crust pizza, so don’t be surprised when you get a pizza with a thick crust which looks as deep as a tourte stuffed with cheese and more regarding your taste. 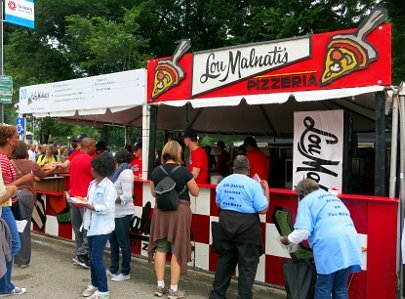 Featured at the Taste of Chicago were Giordano’s and Lou Malanati’s. We could not talk about deep dish pizza without mentioning the iconic Gino’s East of Chicago known to locals as the premier spot for Chicago deep dish. 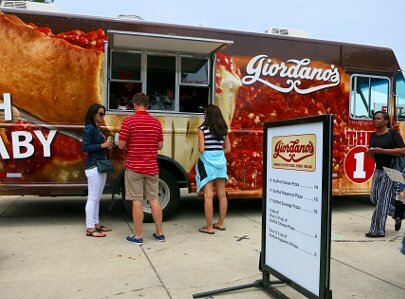 Of those three, our favorite is Giordano’s. Try them out and leave us a comment to tell us which one is your favorite! This all beef hot dog on a poppy seed bun, topped with yellow mustard, relish, tomato wedges, chopped onions, hot peppers, salt and a pickle is what defines and makes Chicago hot dog so special. 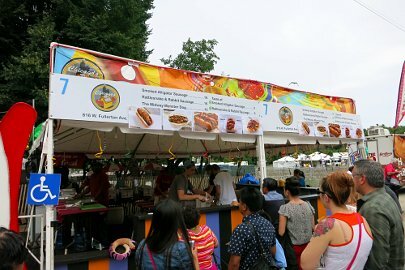 You will find several places to enjoy Chicago Style Hot Dog throughout the city and the ones that were featured at the Taste of Chicago were Gold Coast Dogs and Chicago Dog’s House. Chicago Hot Dogs go hand-in-hand with the long standing city tradition of an outing to the baseball stadium. 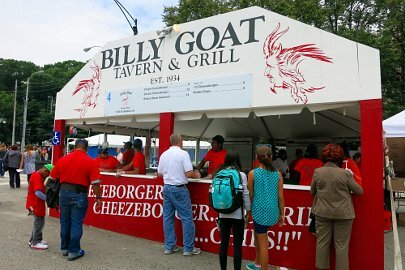 Whether you are a White Sox or Cubs fan you should not miss this dog while cheering for your team at the stadium. This is our favorite place to get a hot dog though it is certainly not the most tasty. 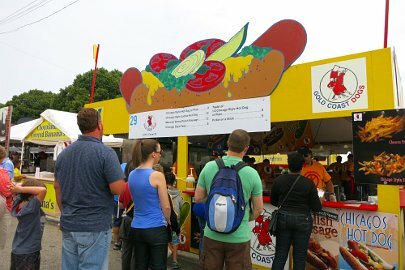 For our best version outside of the Stadium try The Wiener’s Circle during normal hours. 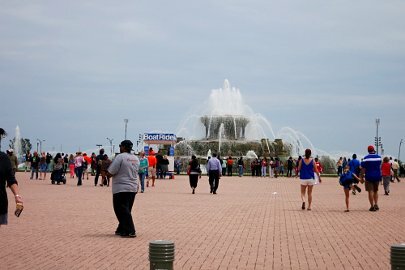 Beyond the iconic Chicago food, you don’t want to miss the city’s architecture including Buckingham Fountain which is located in the center of Grant Park. 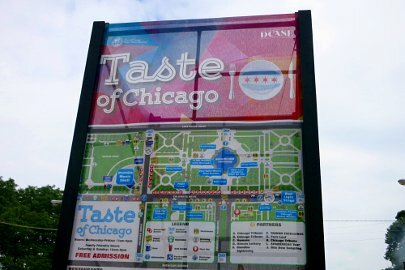 If you had enough of the Chicago two most famous staples, try the many other food options available at The taste of Chicago. 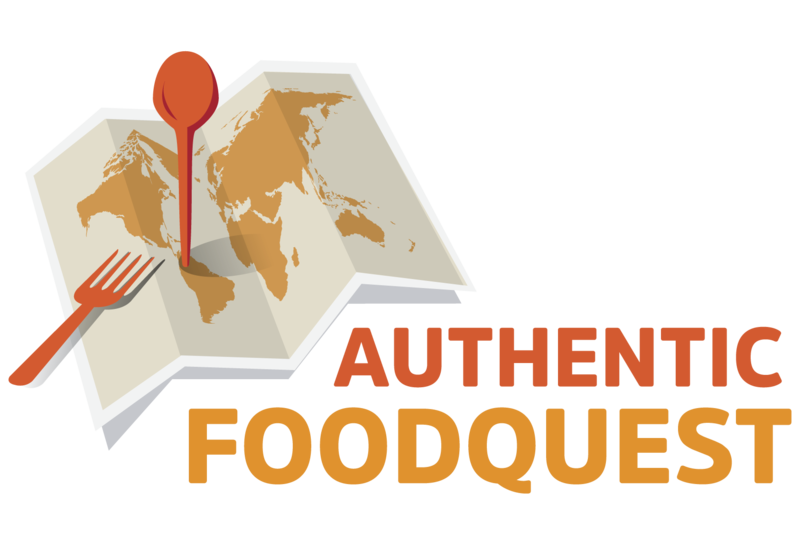 Chicago is a city that offers lots of (better) food options with the influence of its communities from Mexican to Vietnamese food. 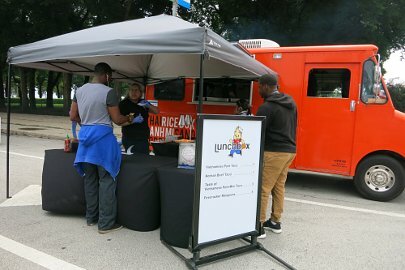 Our pick this year at the Taste of Chicago were LunchBox, which offered tasty Vietnamese Pork Belly Tacos and Jin-Ju which had great Korean food. 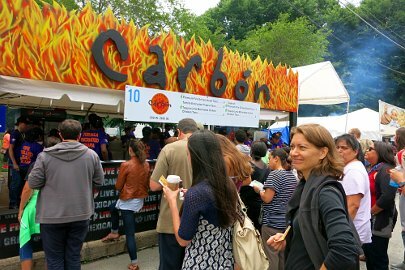 Carbon had decent tacos but not quite as tasty from our “taste” point of view as compared to the ones from LunchBox. 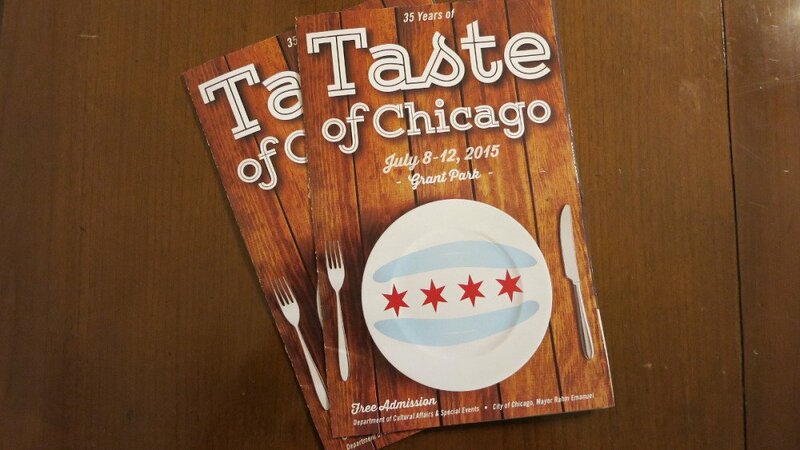 With Taste of Chicago, you have the chance to sample some of the Chicago authentic food while enjoying some free music along the way and strolling in Grant Park looking at its iconic landmark. 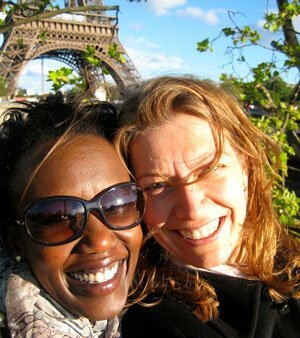 It is undoubtedly a nice way to spend few hours in Chicago if you have the chance to be here in the next few days. 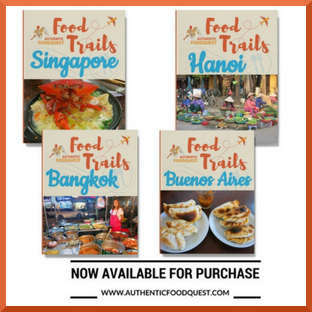 Wherever your travels may take you this summer, don’t forget to check out any food fairs that your local region might offer. 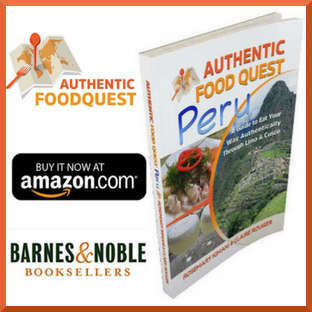 This is always a great way to know more about a region’s culture, its culinary specialties and its authentic food.